Suicides are a growing problem in the United States. In a new report released this month by the Centers for Disease Control (CDC), the CDC concluded that suicides have increased more than 25 percent between 1999 and 2016. Unfortunately, there’s very little context offered by most of the articles in the media. Most focus only on the few data points mentioned in the CDC’s press release. The headline about 25% growth tells us little about if the current rate is high or low by historical standards. 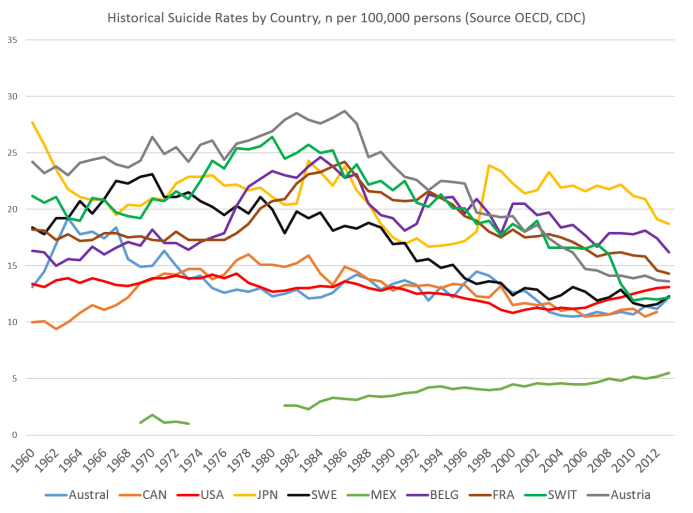 But there seemed to be a common tendency in media coverage: in spite of this widespread lack of context, the articles in the media tended to jump immediately to seeking public-policy solutions to the rising suicide rate. For example, The Los Angeles Times asked a Virginia physician what might be a cause of the problem. His answer? A lack of “economic assistance.” In other words: too little welfare spending is the problem. National Public Radio, meanwhile, decided that more gun control might help: “American suicide is predominantly a firearm issue” NPR quoted a psychologist as saying. The problem? Too little gun control. So, basically, whatever your particular political hobbyhorse is, that must be the solution to any suicide problem we have. So, it’s true that the suicide rate has increased by more than 25 percent since 1999. But we might also say that the suicide rate has decreased 6 percent since 1977. Or, we might say that the suicide rate in in the United States is now at a rate that was pretty typical during the 1960s, 1970s, and much of the 1980s. Surely, none of this is reason to celebrate. We want to see suicide rates decreasing over time. But, if we’re going to spin theories about why the suicide rate is increasing, the fact that women are being paid less than men (presumably for the same work, which isn’t even true) then shouldn’t that be a new thing? Are we to believe now that women were being paid equally to men in 1989, when suicide rates were lower? Clearly, the incomplete picture being painted by the latest flurry of articles on the matter aren’t telling us much. On the gun issue, of course, any number of countries with far stricter gun control laws than the United States have considerably high suicide rates — such as Japan and Korea. And when it comes to teenage suicides , the US has an even fewer suicides, comparatively, than suicides overall. It’s telling, however, that in the overwhelming majority of media coverage on the matter, the assumed solutions to the problem — a problem whose historical uniqueness is being overstated — is assumed to be primarily a matter of public policy. The narrative seems to be this: you have some suicides? Just pass a law, increase some government spending, or ban some guns. Ignore the financial costs and opportunity costs. Surely that will solve the problem! Part of this is because this fits into the world view of what both the journalist and the quoted “expert” often believe. But consider if the range of acceptable opinion on such matters were more broad. But, it’s hard to imagine many expert physicians telling CNN that people ought to increase religious devotion as a strategy in avoiding suicide. 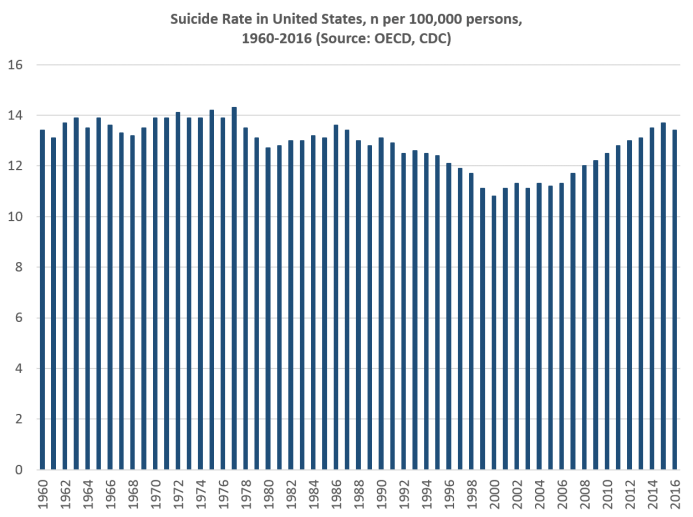 If one is going to try to pin some specific problem in American society related to suicide, this one is as big a culprit as any: the US has a notably high residential mobility rate . Meanwhile, countries where people rarely move, such as Spain and Italy, have remarkably low suicide rates. 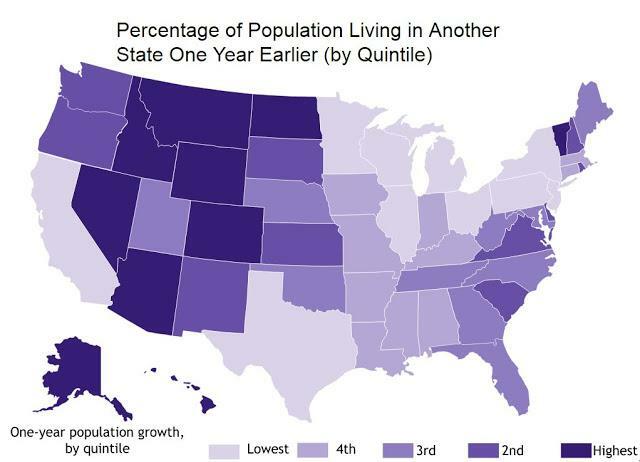 This may also show up in regional differences for suicide in the United States. 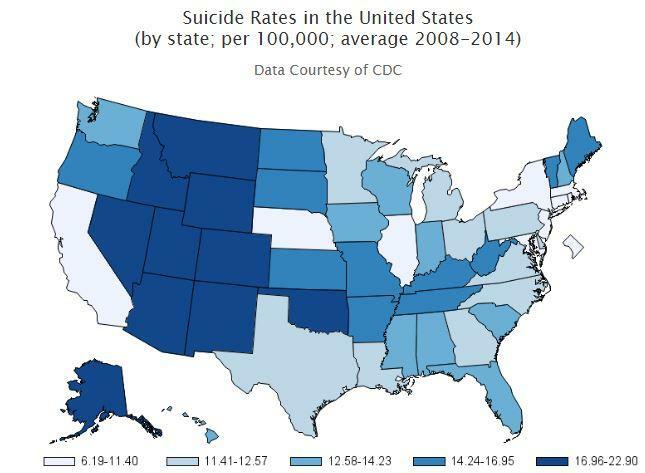 Suicide, after all, is an especially big problem in the western region of the US. It may be a coincidence, but it may also be that areas with the most rootless and mobile populations create conditions that lead to higher suicide rates. No one, however, is considering laws that would discourage people from moving from state to state. It’s simply accepted that, even though research suggests moving increases risk of suicide in many cases, it’s a decision best left up to individuals. On the other hand, as Mark Thornton has shown , we could do some good by repealing laws that have long been doing damage. Given the damage that government prohibitions have done in regards to drug abuse — itself blamed as a cause of suicide — leaving people alone to make their own healthcare choices might do a lot of good. But don’t expect CNN to mention that. *Ryan McMaken (@ryanmcmaken) is the editor of Mises Wire and The Austrian. Send him your article submissions, but read article guidelines first. Ryan has degrees in economics and political science from the University of Colorado, and was the economist for the Colorado Division of Housing from 2009 to 2014. He is the author of Commie Cowboys: The Bourgeoisie and the Nation-State in the Western Genre.